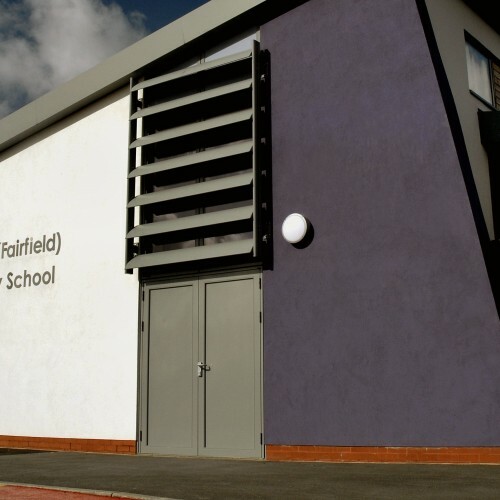 In 2008 Cassidy + Ashton handed over the brand new 1.5 Form Entry Primary School for St Elphin’s CE VA Primary School in Warrington. The school was built on the land formally known as St Elphin’s Park. The new school replaced the existing school building located in the nearby Fairfield Street. Whilst the building was in generally sound condition, increasing pupil numbers and the need for more flexible space put increased pressure on the existing accommodation. Since the schools completion in 2008 the demand for places continued to be very high. In conjunction with Warrington Borough Council, Liverpool Diocese and the School Governors it was agreed to extend the extend the school to allow the intake to rise from 1.5 Form Entry to 2. The extension created a further 250m2 of accommodation to form 3 additional classrooms and administration space. There were also internal modifications which allowed for increased WC provisional and increased kitchen area. The newly extended building was handed over in Easter 2014.